We charge a flat low rate, not a % of your refund, quoted upfront, which remains unchanged 95% of the time. Any changes to our fee as result of unexpected additional work will be discussed with you first. Canadian residents who go to Las Vegas and other USA venues for gambling may end up to be lucky and win a large amount of money. Is the gain taxable in the U.S.? Are gambling losses deductible against the winnings? Does IRS require the Casino to withheld taxes? The answer is yes to all three questions. However, the good news is that under the Canada-U.S. Income tax treaty (Article XXII) Canadian residents are entitled to claim any U.S. wagering losses up to the amount of U.S. gambling gains for the year, using the same rule that would apply to U.S. citizens and residents. For U.S. citizens and resident aliens i.e. Green Card holders, gambling, betting, and lottery winnings or gains are usually taxable and must be declared when filing their 1040 income tax return, but gambling gains can be reduced by deducting gambling losses to the extent of their gambling gains. Generally for non-US gamblers, U.S. tax is withheld on any gains at source, but the winner cannot deduct any gambling losses to claim a refund of taxes withheld from gambling gains. But Article XXII has changed all of that for Canadian gamblers. In order to recover gambling taxes withheld, Canadian residents will have to file form 1040NR, U.S. Non-resident Alien Income Tax Return under provisions of the aforementioned United States-Canada income tax treaty. Gambling winnings taxation laws are significantly different between Canada and the U.S. In Canada, all winnings arising from any kind gambling including casino plays, lottery, are generally exempt from taxable income provided it can be established that winnings are clearly not related to an office, employment, or property. With very few exceptions, Canadian income tax code does not treat betting and gambling as a dealing in any kind of trade or business activity. For now, Canadians winning gambling gains at home are entitled to get all they win, with no income tax consequences. In the United States, taxation of gambling gains is treated totally different. Under U.S. law, gambling winnings of U.S. persons over $1200 excluding winnings on blackjack, baccarat, craps, roulette, and the big-6 wheel are considered taxable income. Whereas for Non-resident aliens including Canadians, their gambling winnings are subject to 30% withholding of the total win at source. For example if you win $1600, you’ll be walking out with only $1120. The more you win, the more you’ll lose as a result of gambling withholding taxes. 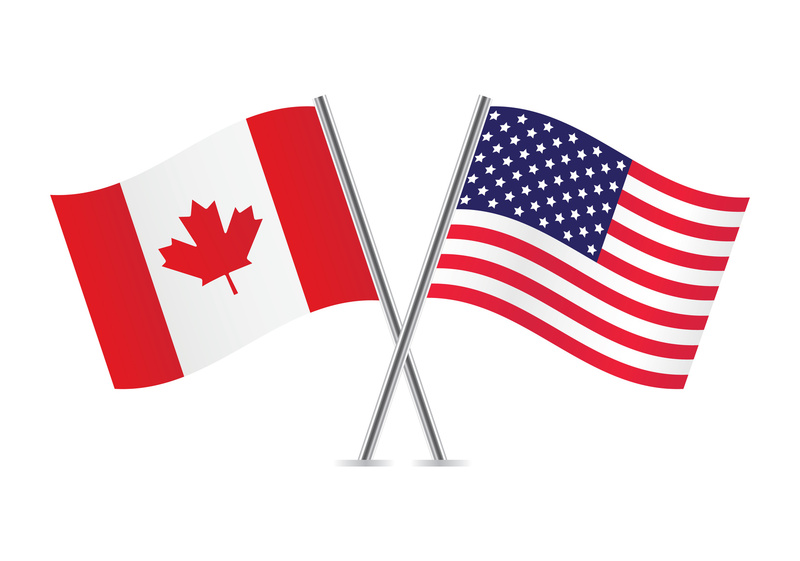 In 1996 Article XXII of the Canada-U.S. Tax Treaty was signed between the two countries. Under provisions of the Treaty, Canadians are eligible to file US income tax (1040NR) and claim their U.S.-source gambling losses from their U.S.-source gambling winnings, and recover casino taxes withheld at source and receive a refund. Total losses deducted cannot be more than total winnings. In order to file 1040NR to recover casino tax refund, you need to obtain or already have a valid Individual Taxpayer Identification Number (ITIN). U.S.1040NR returns are filed annually and will cover your entire gambling wins and losses for that year. You are advised to seek professional gambling tax recovery advice, as this can be a tedious and complicated process. To qualify for casino gambling tax recovery under Article XXII of the Canada-U.S. Tax Treaty, you must be able to prove all of your U.S.-related gambling losses. Good record keeping showing all wins and losses made in the U.S., including dates, times, locations, and amounts won and lost is very important. You should keep any statements issued by the casino, wager tickets, casino credit records, and bank withdrawal statements. Lost and Wone Money When Gambling in the United States? How Canadian Residents Can Get a Refund of 30% Withholding Tax? – Obtain U.S individual taxpayer identification number (“ITIN”) if you do not have one or the one you have has expired. According IRS Publication 515, no tax is imposed on nonbusiness gambling income a non-resident alien wins playing black-jack, baccarat, craps, roulette, or big-6 wheel in the United States. If you were issued form 1042-S and taxes were withheld you might be able to recover part or all of it . Contact Fairtax Business Services.